#PiratesLife And this on Facebook. 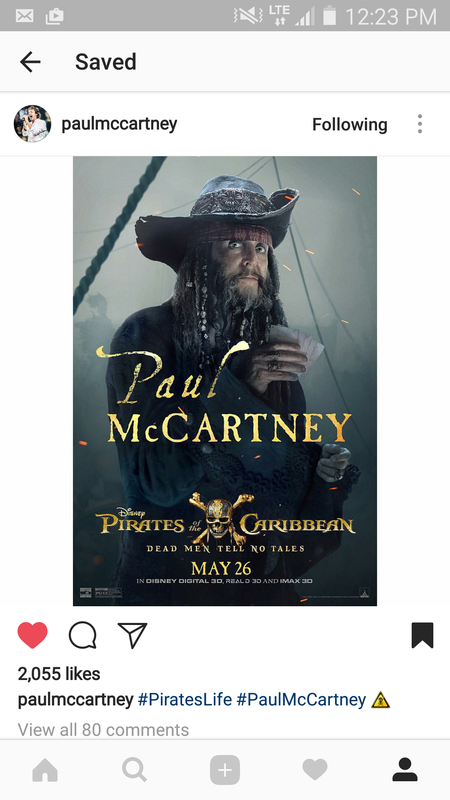 This entry was posted in Beatles, Movies, Paul McCartney and tagged Beatles, Dead Men Tell No Tales, Film, Movies, Paul McCartney, Pirates of the Caribbean by beatlesblogger. Bookmark the permalink.